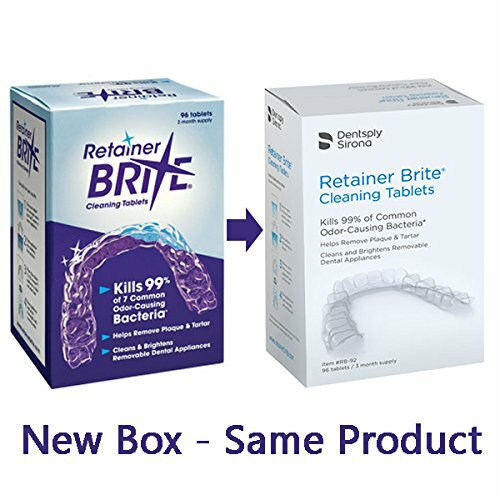 Details: Retainer Brite is a highly effective removable brace cleaner that kills bacteria, preventing brace discoloration and odor that can lead to bad breath. Retainer Brite’s special formula for cleaning and disinfecting removable orthodontic appliances. 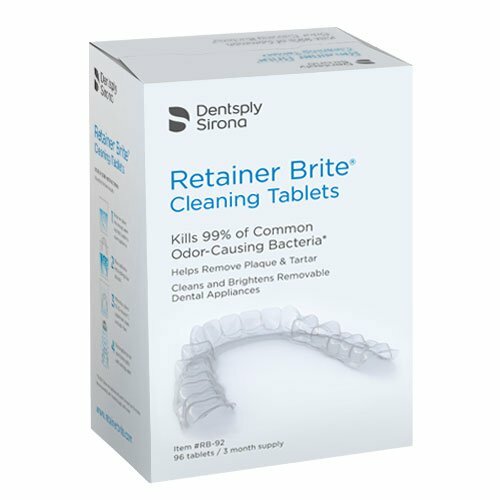 Used daily will keep your brace clean and fresh, works in 10 minutes removes plaque and tartar kills germs and bacteria cleans and brightens 96 cleaning tablets, eliminates retainer breath.